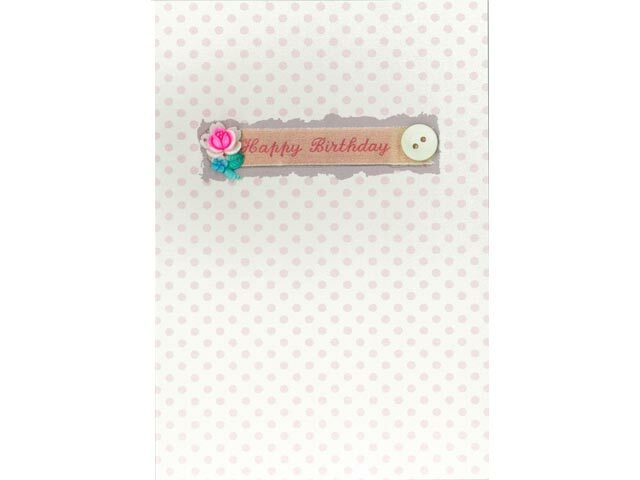 This ‘Happy Birthday’ Vintage Charm card by Petra Boase has a pink spotty background and 2 charm embellishments either side of the ‘Happy Birthday’ message. 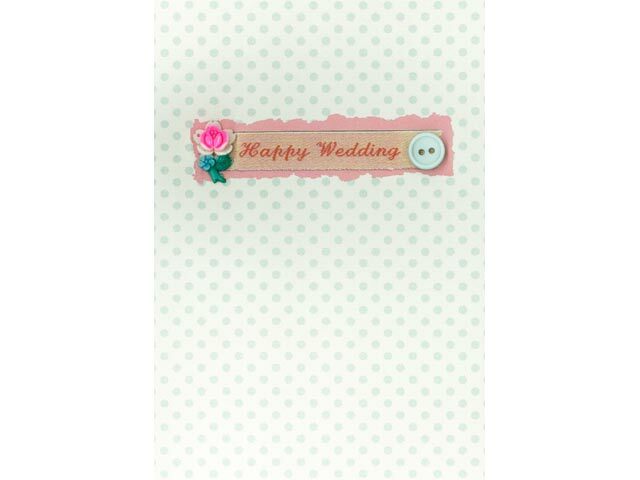 A flower charm on one side and a pastel coloured button on the other. 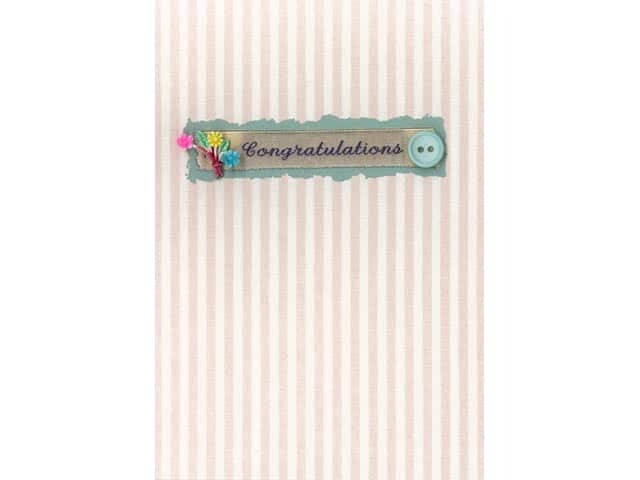 Card blank on the inside for your own message, complete with envelope. We make every effort to despatch your order as soon as possible. The delivery period stated within which you will receive your order is approximate. Please allow 10 days for delivery.